wxDev-C++ is an extension of Dev-C++ by Colin Laplace et. al. 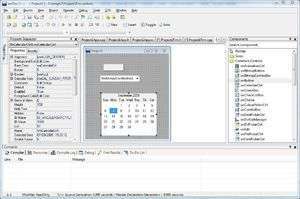 this software download helps you to create dialogs and frames for wxWidgets visually using a form designer. With all the wonderful features of Dev-C++, wxDev-C++ is still being actively developed. Version 7.4.2.569 is a freeware program which does not have restrictions and it's free so it doesn't cost anything. For security reasons, you should also check out the wxDev-C++ download at LO4D.com which includes virus and malware tests. Additional screenshots of this application download may be available, too. wxDev C Plus Plus download been highly rated by our users.